Dave Ellens said he chose farming as a profession because of the extreme pride he takes in being able to continue the family farm that his grandparents and parents have made. He hopes to be able to pass the farm on to his children someday. He and his family raise corn and soybeans. As owner of Lakeco Crop Services, he also is a third-generation Pioneer dealer. Ellens said one of the most important issues facing today’s farmers is dealing with the way that the media influences young people on agricultural issues. “We need to educate our youth on food safety so they can make their own educated decisions on what food safety is, and other agricultural issues,” Ellens said. He also said as farmers continue to get better at growing crops, it will be vital to find more markets to use the increasing supply. Ellens joined the Corn Growers Association board in 2019. 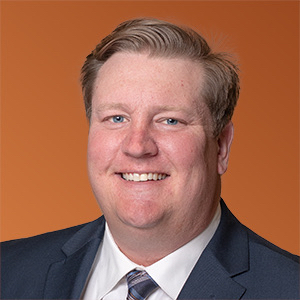 A graduate of Rutland High School and South Dakota State University, he serves on the ag committee of the Greater Madison Area Chamber of Commerce and is active with the Prairie Historical Society of Prairie Village at Madison. In his spare time, he likes to camp with his family, restore antique tractors with his dad and cheer on the SDSU Jackrabbits. He and his wife, Karli, have two daughters: Juliet and Luella, with another due in May.